Twelve enforcement orders were served on businesses by the Food Safety Authority of Ireland, it said today. ELEVEN BUSINESSES WERE served with closure orders and one with a prohibition order in March, the Food Safety Authority reported today. 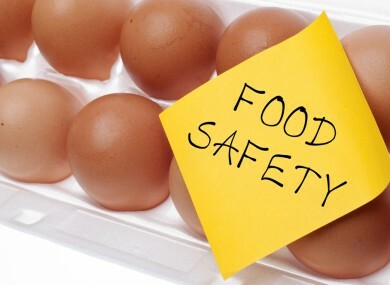 The FSAI said that 11 closure orders and one prohibition order were served on food businesses during the month of March for breaches of food safety legislation, pursuant to the FSAI Act, 1998 and the EC (Official Control of Foodstuffs) Regulations, 2010. The enforcement orders were issued by environmental health officers in the Health Service Executive. Among those who received the orders were a montessori, butcher and hotel. We continue to find unacceptable levels of non-compliance with food safety legislation. Time and time again, we encounter cases of food business operators who are potentially putting their customers’ health at risk by not complying with their legal obligations for food safety and hygiene. There is absolutely no excuse for negligent practices,. If any food business operator is unsure of what is required of them by law, they can contact the FSAI advice line on 1890 336677 or visit its website. Details of the food businesses served with these enforcement orders are published on the FSAI’s website. Email “Montessori among 11 closure orders over food safety concerns”. Feedback on “Montessori among 11 closure orders over food safety concerns”.